Fully air conditioned, our 3-story condo is in an ideal location to relax and explore the south-west of Puerto Rico. Live in our comfortable space while discovering the beauty Caribbean coast in a rural fishing town. Take a short walk to the beach (less than 300 meters) or just enjoy in the pool within the apt complex. Air conditioner in all living areas. Fully furnished and equipped. Color TV with DISH/Satellite TV, DVD/CD player and stereo included. The second floor has 2 bedrooms with A/C. The third floor is a large roof top terrace with spectacular views of the Caribbean sunset. Perfect for sipping margaritas, play cards or dominoes or just hang out in the hammoc. The condo is located in a small gated community of 21 individual condos that has a shared pool and gazebo. Parking available for 2 cars in the complex. It is walking distance to El Combate Beach, a nice & safe fishing town and a short drive to the historic Cabo Rojo Lighthouse, the beautiful 'Playa Sucia' and Boqueron Beach. I love Cabo Rojo and its beaches. This was my family's favorite area to go for a beach vacation with its warm, clear Caribbean waters. This condo is in Combate Beach Area. Good food, great beaches and total relaxation. There are also several great beaches about 10 minutes away: Boqueron Beach and La Playuela (AKA Playa Sucia). Combate Beach remains a 'locals beach'. Calm, non-touristy fishing town. Local maps, restaurant-dining and local activities guides available upon request. Apartamento impresionantemente bello y comodo!! Thank you so much! We also love that location, the people and our home away from home. We would love to have you back. Un lugar hermoso, comodo, en un lugar estrategico cerca de playas, sitios de comer y sobre todo seguro con control de acceso. Tiene una hermosa picina donde puedes relajarte en tranquilidad. Definitivamente la mejor eleccion. Nice, spacious apartment, a short drive from the beach. The apartment is well equipped. I enjoy cooking and found everything I needed. It is walking distance from the beach if you enjoy long walks in hot weather. The furniture is start to deteriorate. There are lots of good restaurants nearby. El Combate beach is lovely. Thank you for allowing us to rent your space. It is well kept, clean and a nice escape from the city. Suggest it to anyone who wants to explore the western part of the island. You will need a vehicle to get around. Enjoy. Thank you so much. 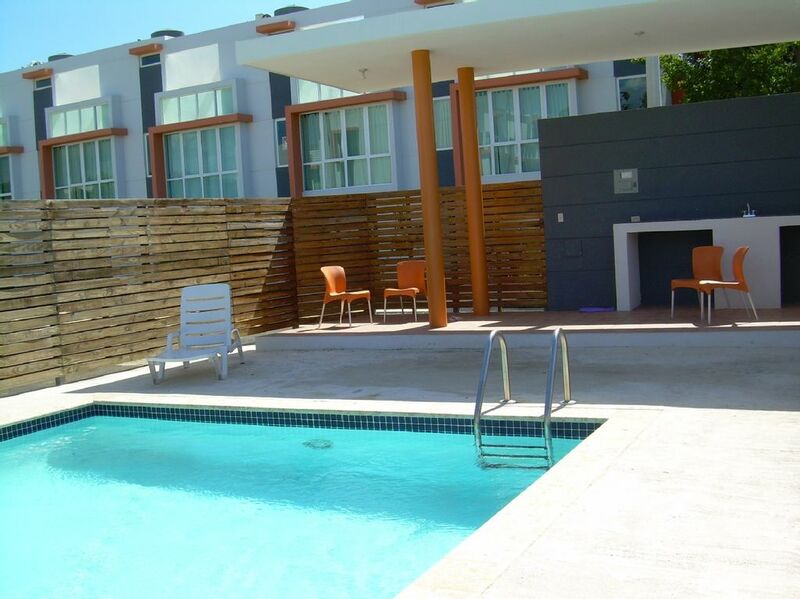 We would live to have you back in our townhome to enjoy the laid-back and relaxing beach town of Cabo rojo. Hope to see you soon! Had a great time. The place is calm and cozy. Everything on the house was on good shape and the pool was clean. I would recommend it. Thank you very much! We look forward to have you back. Check our location in Google Maps! Look for 'calle Tamarindo and carr 3301, cabo rojo, puerto rico'. As you can see, the apartment is about 300 meters from El Combate Beach!! The Cabo Rojo light house and the famous 'Playa Sucia' is about a 10 minute drive from the condo. The town of Cabo Rojo is located in the most southwestern corner of the island and is a great location to explore the SW of Puerto Rico. Mayaguez, Ponce, La Parguera, Guanica are a short drive away of less than 50 minutes. El Combate is a calm, fishing town in Cabo Rojo. Enjoy local restaurants and bars. Grocery stores, 'panaderias' (bakeries) with smaller convenience stores, ATM and even fast food restaurants are less than a 10 minute drive.